Some conservative Christian denominations urge or require their members to abandon all medical treatment in favor of prayer. This policy results in a very large number of infant and child deaths in these groups. However, we are aware of only one Christian faith group -- the Jehovah's Witnesses -- that permits or encourages its members to accept medical treatments while urging them to refuse to accept blood transfusions for themselves or their children. The Witnesses' beliefs are mainly based on four passages in the Bible. To our knowledge, all other Christian and Jewish faith groups interpret these same passages as referring to dietary laws; i.e. to the actual eating of meat containing blood. M Khadra, "A criterion audit of women's awareness of blood transfusion in pregnancy," Women & Children's Division, North Staffordshire Maternity Unit, Newcastle Road, Stoke on Trent, Staffs, ST4 6QG, UK, at: http://www.biomedcentral.com/ This is a PDF file. "One of the most controversial practices by Jehovah's Witnesses is the ban on all types of blood transfusions-even if they are meant to save a life. 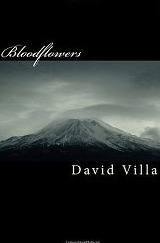 Written by a former Witness, "Bloodflowers" follows the life of Daniel Verona, a devoted Jehovah's Witness, who is also a Hemophiliac. When a pair of teenage Witnesses die after being refused blood transfusions by the Church leaders, Daniel sets of on a spiritual journey to find out the truth about the Truth, and to deal with the constant guilt of never living up to Jehovah's standards."